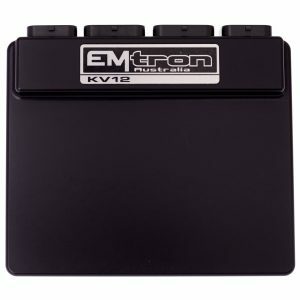 Emtron’s KV16 is a wire in ECU with extreme flexibility. Industry leading I/O count will ensure you do not have to make any sacrifices when configuring your engine and vehicle. This ECU will support up to 16 Channels of Fuel (8 cylinders fully sequential staged injection) and 12 Channels fully sequential Ignition. 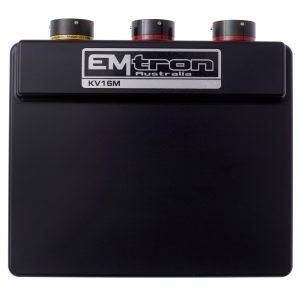 Every KV16 is housed in a durable billet Aluminium enclosure and includes up to 32MB permanent memory for on board logging, 4-channel oscilloscope function, DBW control up to 4 channels, dual LSU4.9 Lambda controllers, dual digital Knock control, Ethernet communications and 3 axis G-force sensing to name a few. 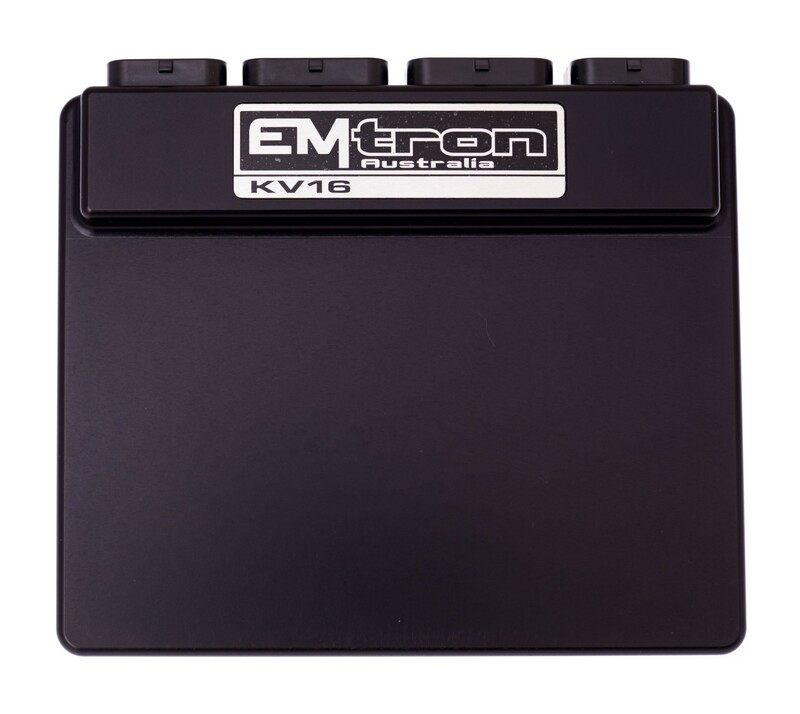 The KV16 can control both modes of injection: Saturated and Peak & Hold up to 16 channels. The KV16 supports up to 12 Ignition channels. The KV16 has 14 Digital Inputs providing Frequency and Switched based inputs into the ECU. These inputs have a high level of configurability allowing easy interface to all sensor types. Digital Inputs 1-8 can be used to measure frequency, while all channels can accept a switched input. 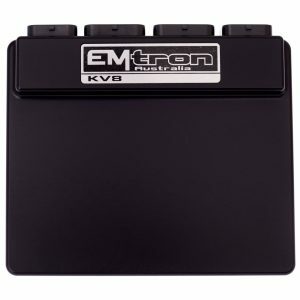 The KV16 has 16 Auxiliary Outputs with a wide variety of driver types to suit all applications. These drives are suitable for controlling relays, resistive and inductive loads, stepper motors, DC servo motors and electronic throttles. All outputs are short circuit and over current protected. Short circuit, Thermal overload protection.